PAX Trading > Crypto News > Will Blockchain Replace Cloud Computing? The people have spoken: big businesses ought to put their ledgers on the blockchain for accountability. Yet, there is one question remaining on the idea of this solution. 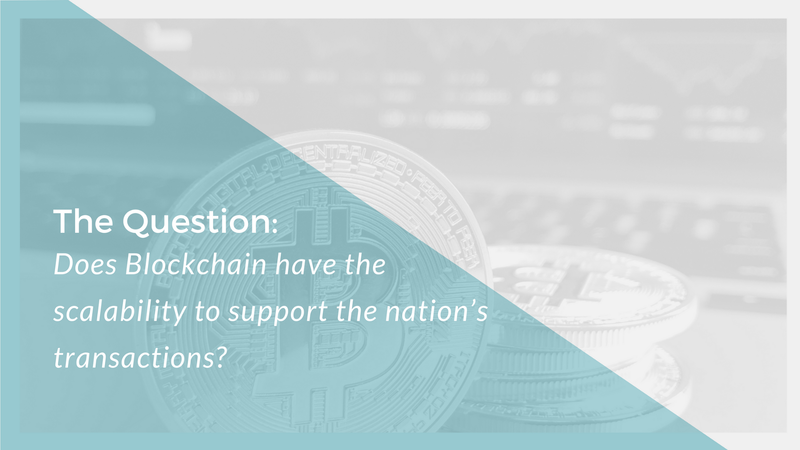 Does blockchain have the scalability to support the nation’s transactions? For perspective, let’s reference some statistics that Vitalik Buterin, co-founder of Ethereum, shared in his talk with AngelList’s Naval Ravikant in December 2017. According to Buterin, a young blockchain legend, Ethereum is currently able to process five transactions a second. Financial organizations like Visa use cloud computing to scale the tens of thousands of transactions done daily. Fast, yet not as secure as blockchain, as cloud computing carries severe privacy risks. Handing sensitive information to a third party can be messy. Just ask Equifax, who is facing stiff fines from the United States Senate for last year’s security breach. This mishap compromised 145.5 million Americans’ social security numbers and birthdays. Blockchain comes with secure use cases in several industries.